Christmas Special BLOG - All You Need for Christmas! Welcome to our special Christmas blog, featuring many wonderful gift ideas to cater for all the family. Including social media training for the busy Entrepreneur in your life, NOSO teenage journal for your teenager, fairy tales and audios for the young ones, aprons, umbrellas, green tea sets and lots of gift vouchers for treatments and other healing therapies! Give the gift of a lovely Green Tea Matcha Set this year. These products are healthy and delicious and you can choose from their range which includes a set complete with whisk, spoon and bowl. Health and Harmony, Loughrea, County Galway. Based in a beautiful and secluded part of East Galway, Health and Harmony offers total privacy and a unique oasis of calm. Denise uses a wide range of specialist treatments with the aim to bring your body and mind back into balance. All or any of the treatment options can also be used to relieve pain and reduce stress. Denise also offers fertility packages to clients. 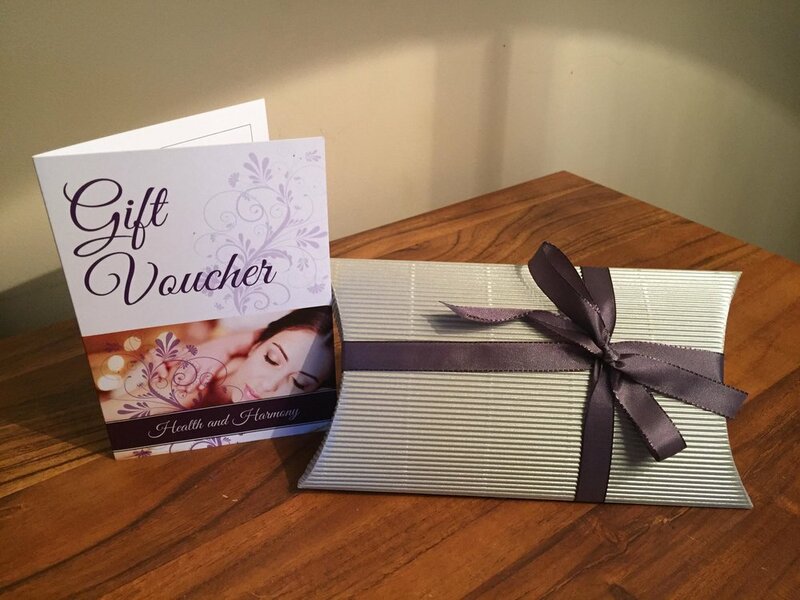 You can purchase gift vouchers from Health and Harmony which are presented in a pillow box and wrapped with purple ribbon to make them extra special. They can be used towards any of her treatments or fertility packages. Payment can also be taken over the phone and the vouchers will be posted out. At Celtic Soul Essence we offer the gift of healing at a soul level. For Christmas we offer beautiful essential oil blends, especially formulated for your emotional and physical benefit. OR you can purchase our famous Goddess Blend. (Only available to purchase in Ireland) Contact Dolores at doloresagavin@gmail.com if you want to purchase a specific mix of blends for emotional support. We also sell gift vouchers for Reiki sessions (both in person and distantly), Soul Retrieval, Soul Care Sessions and EFT sessions (in person or via Zoom). You can also choose our self paced 7 week on line Chakra programme. This programme gives you the tools to take you from confused, angry, feeling like you have lost your mojo or that you don’t belong to being an empowered and assertive person aware that when you make the changes you need for your life you can complete re-write your life story. Do you know someone who could use help with their social media? Why not grab them a consultation with the wonderful Paul Dunphy. “Get your social media buzzing for the new year and book a one on one consultation with Social media expert Paul Dunphy Esquire, vouchers available, in Dublin or via whatsapp video. Get proven hints and tips to make you stand out online and reach the relevant people for your business”. Are you looking for the Perfect Gift For Your Favourite Teen? The NOSO journal makes journaling more easily accessible to teenagers and inspires teens to grow into their best selves. 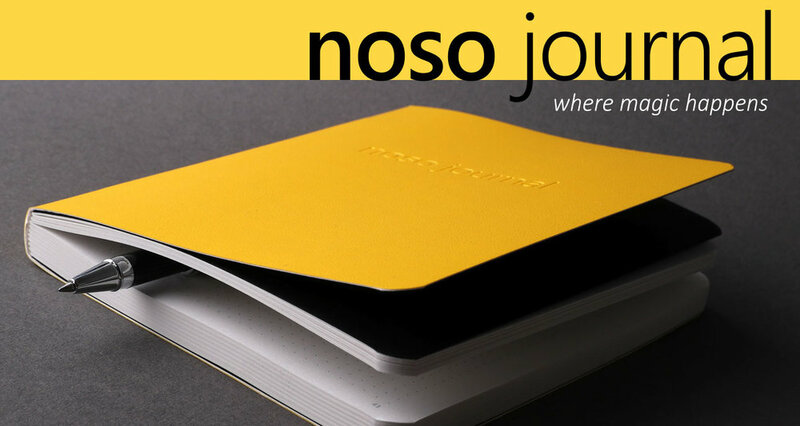 NOSO is a quality journal filled with prompts and exercises to help nurture positive habits of journaling, creative expression, critical thinking, reflection and more, all this along with the benefits that accompany them. * 160 pages including sections of carefully selected prompts to encourage creative thinking and constructive reflection. * Free form pages have a subtle dot grid and guide markers to help with guiding and allowing for un-restricted creativity. * A section of 24 pages of alternative grid patterns to delight, surprise, encourage creativity and stepping outside the box. * A 120 x 160 mm flex cover note book with rounded corners. * Full printing on premium weighted 120g paper. * Thread stitching and lay flat binding for greater durability. * Comes with a matching 100% cotton drawstring bag for making the journal a time-sake keeping. Manufactured in Europe to ethical standards. Geraldine Ryan is offering Christmas Vouchers for any of her services over at Soul Pathways. “You can choose one - OR my own personal favourite is a session where I combine them and the person gets to experience different energy practices. These vouchers can be purchased through paypal and can be posted to your address. A new and exciting collection of products designed by Irish artist Rachel Dubber is guaranteed to bring a smile to everyone’s face. Rachel’s detailed illustrative artworks adorn an expanding range of products new to the market, bringing you an extensive variety of eco friendly Irish gifts perfect for every occasion. The first in the series of new products to be launched are these beautiful donkey aprons. Crafted from sturdy 100% natural cotton, they are designed to protect your clothes and impress your guests in the kitchen or outside having a barbeque. These striking aprons are hand made and screen-printed using environmentally friendly inks. Made from natural unbleached cotton, they have an adjustable neck strap and are machine washable at 30 degrees. Rachel would like you to know, as well as being an environmentally friendly product, a contribution of the sale profits of this product go to The Donkey Sanctuary of Ireland, where Rachel’s adopted donkey Lorcan resides. The aprons are available to purchase on line at the website. A rune consultation is for you if you are feeling stuck and do not know why or what might be next. A reading provides helpful guidance and practical solutions to complex problems. These challenges often arise when the inner purpose is out of alignment with our outer expression. During a reading, I interpret 9 runes which I carefully select on your behalf. 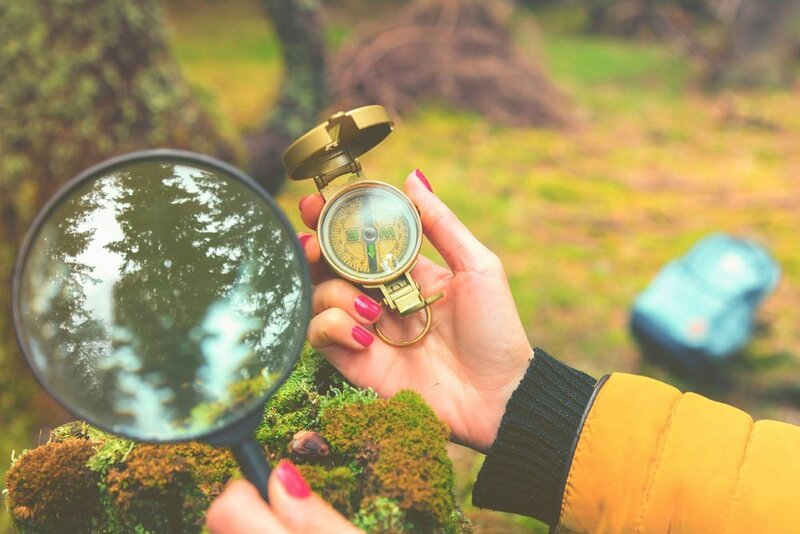 In an hour session, by phone or Skype, you receive information that helps guide, support and inform your path in life. The Norse runes are an ancient alphabet with very powerful mystical origins. Recipients come away with detailed, personal guidance that is mythic in nature and meaning. Learn about your hero or heroine's journey, the important archetypes that can empower you right now, and obtain your soul map via the runes. Every reading includes a PDF with photo and written notes of the session for your later reference. You may benefit from a soul retrieval to assist the healing process from past pain, trauma, or grief. If you tell yourself stories like, ”A part of me died that day,” or, “That took a part of me with it,” or you have gone through an extreme shock, you may have experienced soul loss. Most people can benefit from the return of soul fragments which can be viewed as life force energy. Soul Retrieval is a specific healing modality in which the shaman 'journeys' in an altered state of consciousness via listening to drumming or other transportive music and recovers these missing pieces of self or soul. This work takes place in Non-Ordinary Reality, where anything in ordinary reality can be affected. Because of this, long distance work has repeatedly proven to be as effective as in-person work. In addition, because this work is outside of time and space, often healing begins as soon as the appointment is booked. Sessions are conducted by phone or Skype. Every session includes one hour of initial consultation, a shamanic journey performed by me, and a follow-up call to share the results. In April this year St. Anthony & Claddagh Credit Union, Galway launched The Connect Card - a brand new membership card that operates as a discount card. “We were delighted to launch with the support of The Latin Quarter, The GCBA, The Village Salthill, Galway’s Westend & Mayor Niall McNelis. From 40 businesses at launch we are delighted to say we now have over 100 individual businesses offering all our members with a Connect Card a discount. This number is expanding every week & we are always delighted to welcome new businesses on board. We have so many different categories in our Connect Community now, from restaurants to transport, sports, furniture, clothing, hotels and fuel, you can make great savings across the board. The Connect card will be ideal especially this Christmas season for gifts, dining out & more! Call into any branch to collect the Connect Card if you hold an account, if you don’t hold an account, check out our website to see how you can become a member. Then start saving as you shop this Christmas! 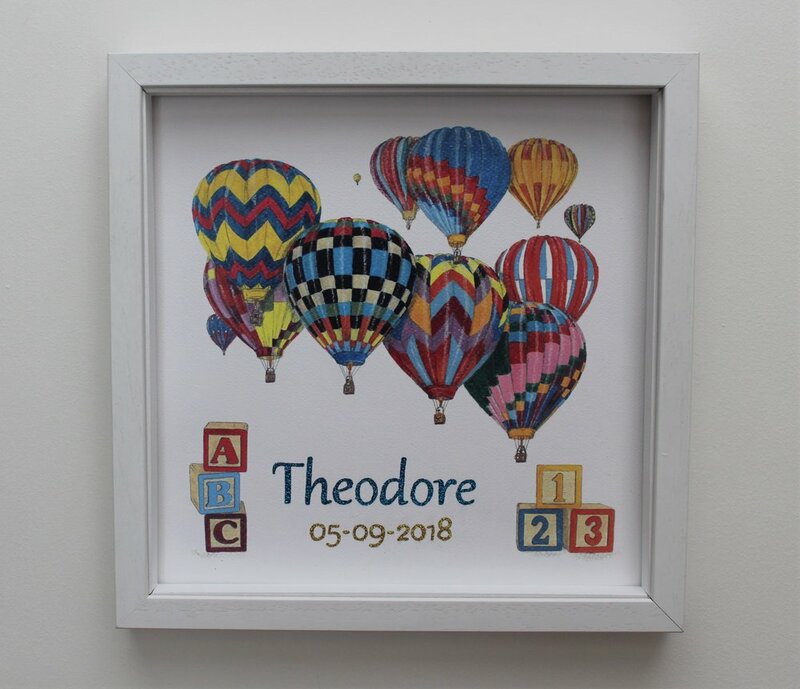 Angelina's ArtVentures creates unique gifts which make the Irish heritage story colourful and fun. Her colour popping umbrellas and t-shirts as Gaeilge are beautifully presented with the story of the design. Her Scéal Eile Collection of coasters and bags connect our language with little details of our culture and natural heritage. Angelina's products are lightweight and offer an authentic Irish experience. Her products are available on her website with free delivery over €25. “ Ready for a baby? Now you can bridge the gap from trying to conceive …to pregnant with fertility coaching. Whether your trying naturally, or having IVF you want to ensure a positive result quickly. Boost your fertility, reduce anxiety and get rid of any mental blocks, all from the comfort of your home. A course of 6 sessions of one-hour duration is all it takes. Helena Tubridy RGN RM is a fertility therapist, hypnotherapist and reflexologist, helping clients just like you achieve pregnancy. There’s hypnosis to fast track your fertility, medically accurate advice on nutrition and lifestyle, and professional support. Whatever stage of the journey you’re on. Helena treats clients with infertility, after recurrent miscarriage, ffa – women and men, too! An effective and decadent way to relax, unwind and turbocharge your fertility for pregnancy. Christmas offer: 20% discount til 15.12.18 with a course of 4 treatments at €299, booked and paid in advance. 'Thinking of Christmas, 'why not let Framemyday create a customised painting for you or select from our range of' 'sparkling' paintings and prints that can be personalised by adding a name or caption of your choice. Give a gift that is a little different. Outer frame size approx 33cmx33cm. To order email Fiona at framemyday@gmail.com or tel 0852339802. The Wicklow Street Clinic is one of the leading beauty salons in Dublin for over thirty years. We’re based just off Grafton Street, on Wicklow Street. We have earned an excellent reputation for our integrity and targeted results. We strive to make sure that our clients always come back because they know that we will look after them with our personal and tailored service. We have a special on for Christmas where if you purchase a voucher for €100.00 you get an extra €20.00 added on. We also have Eminence gift sets for skin lovers. Michelle Waldron is a creative writer, storyteller/Narrator who writes original poems and stories for children in the 2 to 6 age group. “Fun with an educational twist” is how her work is described because Michelle is a Montessori Directress with over 25 years experience working in early childhood sector. Her audio album has 9 tracks to download plus bonus learning resources. 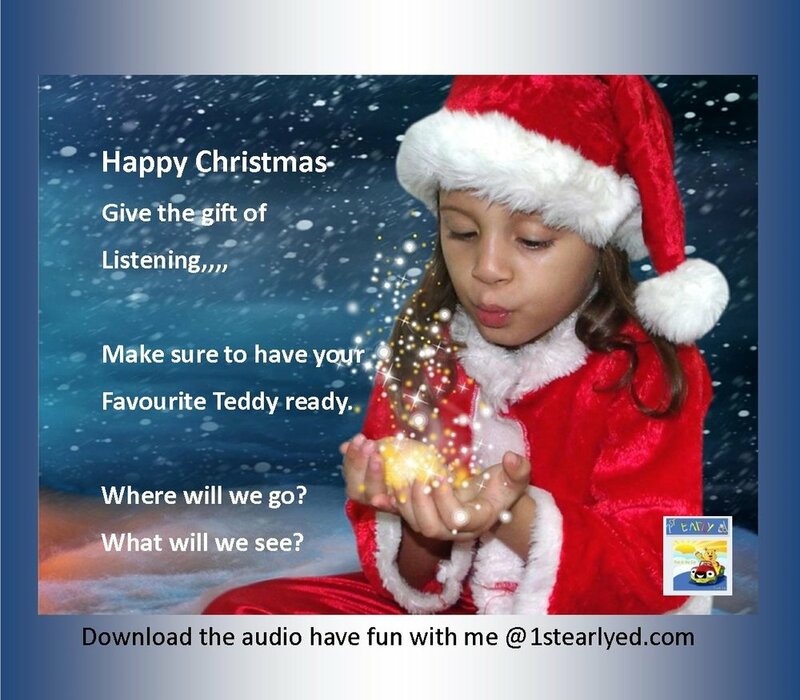 The audio is proving popular for little ones who may be unwell at home or in hospital as they can lie back and relax having lots of fun listening and imagining all the fun things they can do and places they can go when they are better. 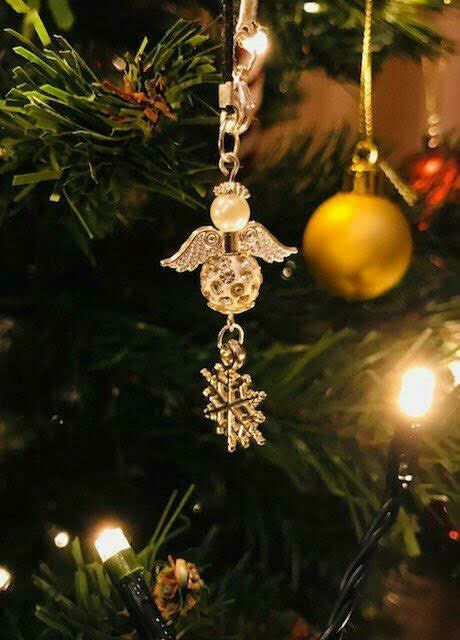 I create angels to add some sparkle decorations to any Christmas tree, you can have them made to the colour theme of your Christmas colour scheme. you can have them made in individual people's birthday month colours. You can have your own personalised mix of colour. I will add a charm of your choosing, snowflake, candy cane, snowman, wreaths, Christmas stocking, gift. they are sent in a organza bag. I hand make all of the jewellery to custom fit you perfectly and can adjust to make pieces smaller or longer according to each hand made customised or bespoke jewellery order. I only use high quality glass pearls and Swarovski Crystals to make you the perfect piece of sterling silver jewellery in unique designs. If you have an idea in mind please contact me, I would love to help you with that perfect piece or keepsake gift. Want to give the gift of the perfect night's sleep? Invented in Cork, this patented and medically certified product changing the way people sleep. 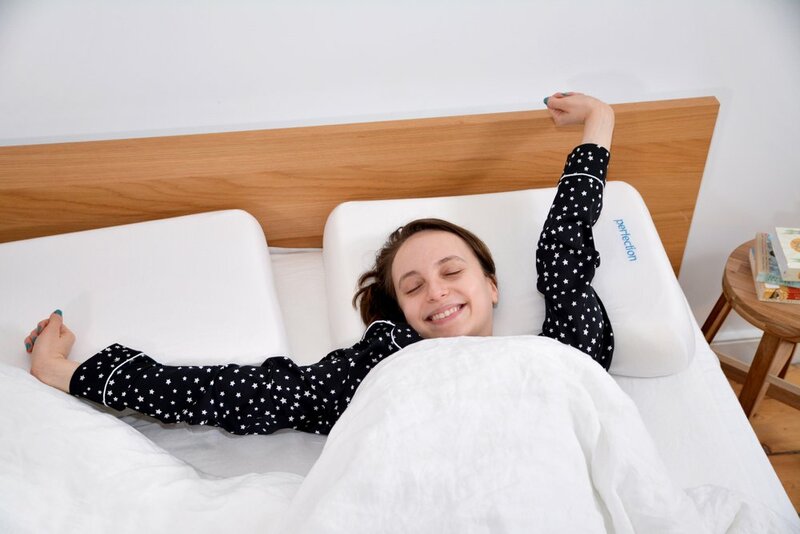 The pillow cradles the head and supports the neck muscles while a dedicated shoulder slot ensures optimal positioning of head,neck and shoulders. As well as reducing neck pain, the Perfection Pillow can reduce or even eradicate snoring and sleep apnoea by improving the uptake of oxygen while sleeping. It has received positive reviews from Newstalk's Dr. Ciara Kelly, Tv3's Karl Henry and the Irish Times Consumer correspondent Conor Pope. It has also been featured on TV3's Boost Your Business, Today FM and RTE Radio 1's Ray Darcy Show. Perfection Pillow is available on www.reflexpillow.com with next day delivery within Ireland. And if you want to snap up a Perfection Pillow at a discounted price , they are offering by 30% for BLACK FRIDAY for the whole weekend from Friday 23rd -Sunday 25th Nov. Follow them to ensure you spot the discount code.